Jasmine has lost her job and her best friend, her Doberman named Kona. Wanting to have another dog she takes in a foster dog, names him Chance and adopts him. But finding another job is not as simple in the worst recession since the thirties. And then her life becomes even more complicated. Jasmine’s estranged daughter Celeste, who has lost her job as well, calls from Los Angeles to ask if she can come to Arizona to live with her mother for awhile until she can find work. How can Jasmine refuse to shelter her only daughter, even though she herself is scrambling to find the means to buy food and pay the bills? When Celeste shows up the very next day with her also unemployed boyfriend, Ramon, Jasmine draws the line. She can accommodate Celeste, but Ramon will have to go. This challenging moment in time brings mother and daughter together, and as events unfold with Celeste becoming pregnant, complicating an already knotty situation, mother and daughter talk about the past and plan for the future. This recession story is about family ties, both human and canine and will bring laughter to your heart and tears to your eyes. 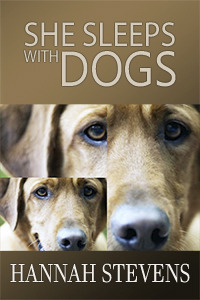 It was a joy to write and it will be a joy to read, even if you are not a dog lover.